Whether you regularly perform in front of thousands of fans or consider yourself more of a hobbyist, protecting your hearing as a gigging musician should always be a high priority.. Traditional forms of hearing protection (custom molded earplugs and foam) are either too expensive or destroy sound quality. For that reason, many musicians opt out of protection. But because hearing damage is irreversible, good ear protection is the most important piece of gear any musician can own. 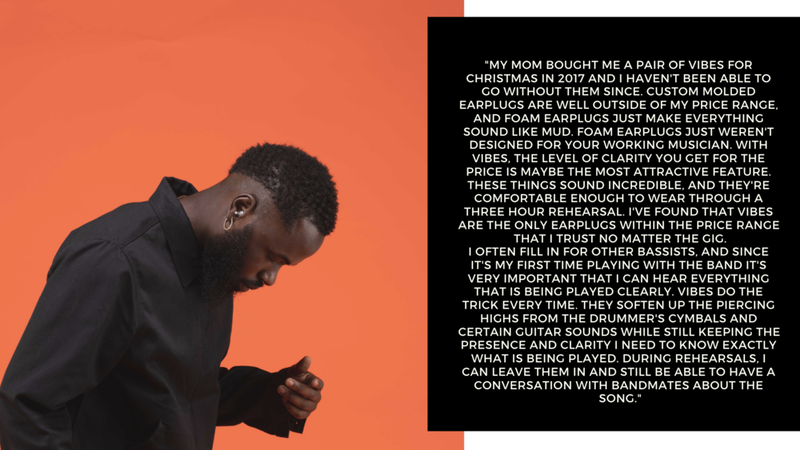 Wearing Vibes means you’ll not only protect yourself from hearing loss, but you’ll also enjoy clean, clear and controlled sound. Our patented filtration system ensures equal decibel reduction - meaning you’ll hear the full spectrum of sound. 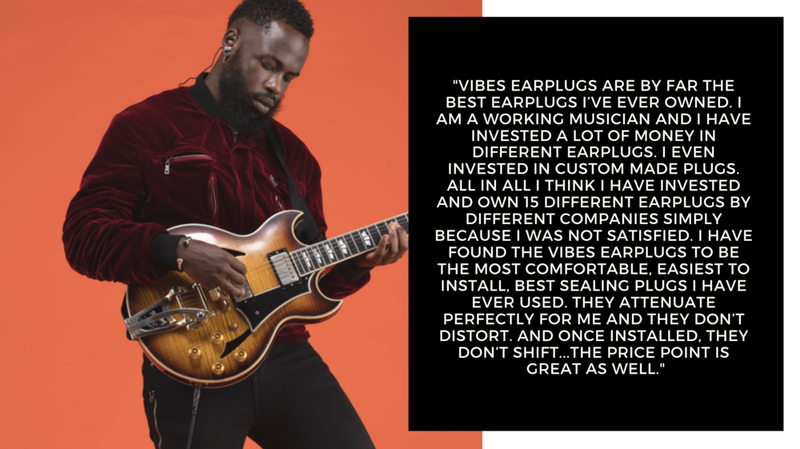 Read more about what people are saying about Vibes Hi-Fidelity Earplugs for musicians here.